Israminers are an Israeli Bitcoin mining company; they buy their mining power from other cloud mining companies and mine bitcoins for profit. They opened up a bank account on December 2017, and wanted to deposit their profits, which were exchanged from bitcoin to fiat currency using the Israeli Bit2C exchange. Union Bank refused to receive these funds, and therefore Israminers petitioned to the district court of Tel-Aviv. The ruling (C 14643-04-18 Israminers vs. Union Bank ) teaches us quite a lot about how bitcoin should be handled by banks, and what to do if your (Israeli) bank refuses to accept your bitcoin profits. I'll go over the lessons learned from this ruling one by one, and explain. The first is that this takes time. The petition was filed in April 2018, and the ruling came yesterday, mid-March 2019. This is a ultra-fast ruling for a district court decision in Israel. This means that if you need your profits just now, going to court might not be your best option. The Israeli court process is going to be a bit slower soon, when the pace will be according to the new civil reform which means that before you go to court you have to do quite a lot of work, including discovery. Only after this, a lawsuit might be filed, and a response will be provided by the other party only after 60 days. This means that one year might be considered as a very short interval. The alternative option, of going through the Bank of Israel' complaints bureau takes time as well: you need to get an answer from your bank, receive their comptroller's response, and then file a request. Then wait. This might take a year as well. The second thing is that facts matter. In this case, the court decided that the bank's policy to avoid any transaction that involves digital currency is unreasonable, and therefore, it should be annulled. However, it did not have enough facts in two matters that should have been brought to the court. The first is how Bit2C's money exchange worked. When ruling, the court found that there were not enough facts to stipulate that Bit2C employs anti-money-laundering measures to avoid any illegal transactions, and therefore it cannot rule whether the bank's refusal was reasonable. This, of course, should make Israeli crypto-activists laugh as Bit2C is known for its assistance to law enforcement. The third, is that even if facts matter, lying to banks is not something that clients should do. One of the reasons the court rejected granting the plaintiff's full request was the fact that Israminers were not completely honest with the bank. In section 76 Judge Limor Bibi states that Israminers' lack of complete discovery to the bank, where it provided only minimal information about its activity, does not actually entitle the bank to refuse, but it minimizes Israminer's good faith (my words, not the Judge's); therefore, be honest with your bank, they have no reason to avoid any transactions solely for being bitcoin related nowadays. The fourth is that courts are a way, but that until we get a supreme court decisions bank will still refuse service to Bitcoin business. Israminers' business is easy: they create bitcoins; they are not an exchange or another service provider that receives bitcoin as compensation. 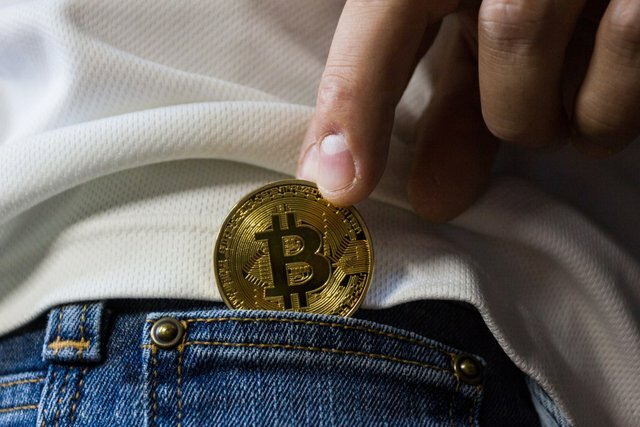 Their bitcoins are "pure", meaning that they have a short past, of one or two transactions, and are obviously unrelated to money laundering; unlike this, other businesses may come with bitcoins that have larger taint. Meaning, that banks may still refuse other businesses based on the statement that they differ from Israminers. This means that further litigation is needed. It also only applies on Union Bank. Meaning that other banks may just ignore it until they are sued as well. Thanks for this detailed case summary. Kol Hakavod to Israminers for fighting through to judgement. The banks need a serious slap to the face, to stop with all of this bs. I still don't understand why no one is working on a class-action law suit. It should be a slam dunk, since people literally lost money because of their (the banks') dumb games.